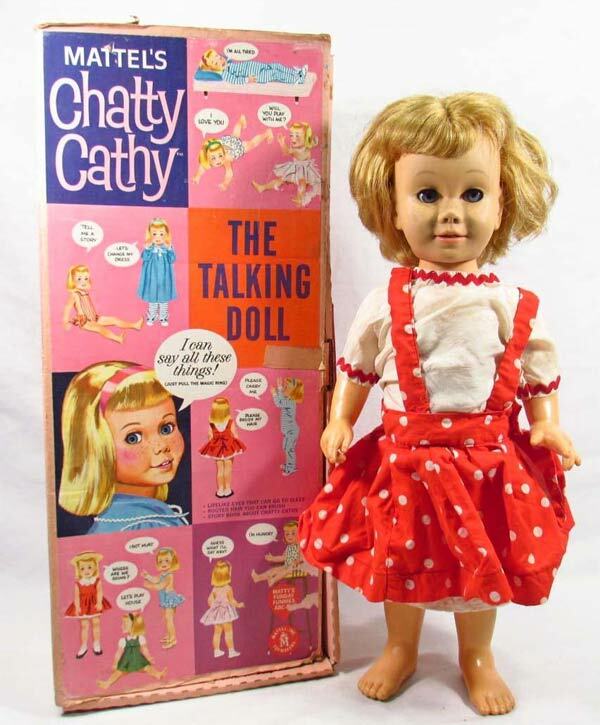 Chatty Cathy is a doll manufactured by the Mattel toy company from 1959 to 1965. 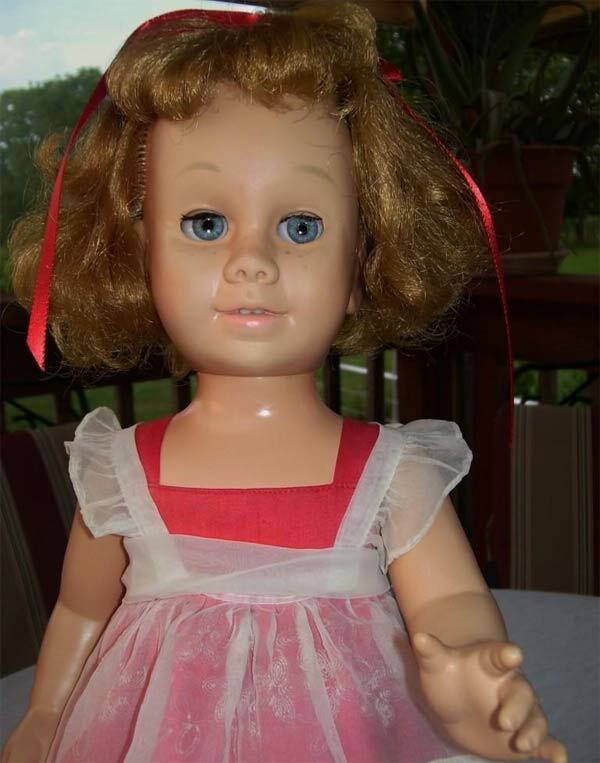 The doll was first released in stores and appeared in television commercials beginning in 1960. Chatty Cathy spoke one of eleven phrases at random when the “chatty ring” protruding from its upper back was pulled. The ring was attached to a string connected to a simple low-fidelity phonograph record in the doll’s abdomen. The record was driven by a metal coil wound by pulling the toy’s string. 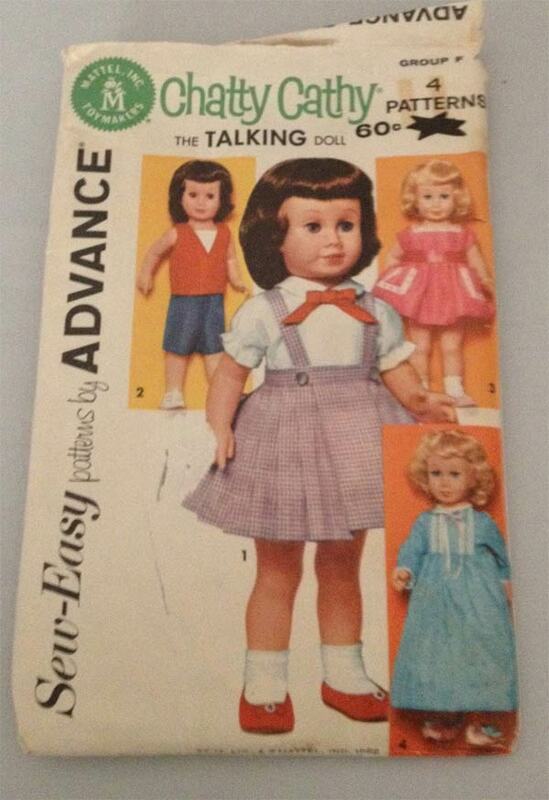 The doll said 11 phrases when she came on the market in 1960 such as “I love you” or “Please take me with you”. 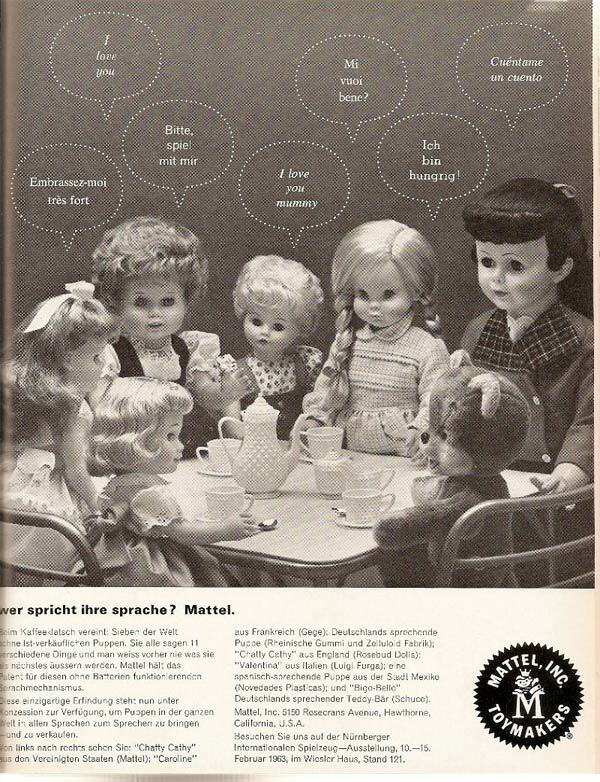 Seven more phrases such as, “Let’s play School” or “May I have a cookie” were added to the doll’s repertoire in 1963 for a total of 18 phrases. 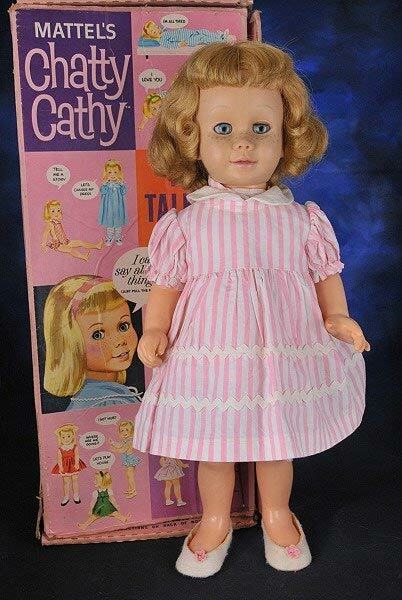 Chatty Cathy’s voice unit was designed by Jack Ryan, Mattel’s head of research and development; he had also been responsible for designing the Barbie doll after a German doll called Bild Lilli in 1959. Looking for the knitting toy from the 60’s. It was red, had a wheel, made like the knitting jenny. is there a picture of it? Thanks. 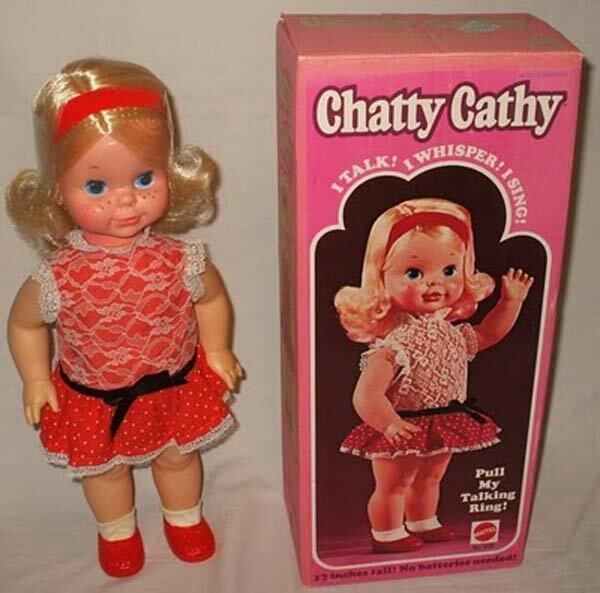 I had the Chatty Kathy as a young girl. Loved her! I am trying to find a infent baby doll that moves when you wind key or pull cord?